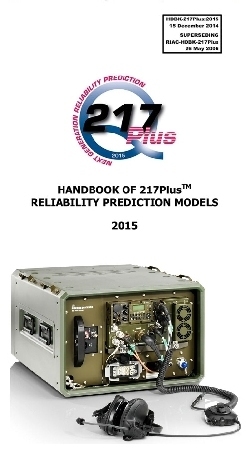 The 217Plus methodology is intended to be a replacement for MIL-HDBK-217-F "Reliability Prediction of Electronic Equipment". The failure rate models of 217Plus are restructured to be more accurate by enhanced approaches to accounting for environments, for quality, and for cycling effects on reliability. The methodology also allows users to combine its models with their own experience data in a Bayesian type approach. If you would like a quotation for reliability MTBF calculations to HDBK 217Plus or any of the other reliability models, please contact us on the numbers below.